Get Your BC Racing Wheel SN 01's at ModBargains! This wheel line has been discontinued. 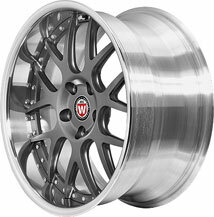 If want to find a comparable wheel model please see our BC Forged Landing Page. If you have any questions you can contact us by Phone: 714-582-3330, Email: [email protected], or through our Live Chat. The BC Racing Wheel SN 01 Series is the best on the market. The SN 01 is a two-piece fully forged wheel. The two piece construction is a classic design that gets hit with advanced spoke pocketing. SN 01 adds some serious depth with curved spokes and smooth reliefs on the sides of each spoke. BC has some state of the art designs that are all fully customizable. Each wheel BC offers allows for a huge variety of colors, offsets and sizes so you get to choose the perfect wheel that will fit your personality. 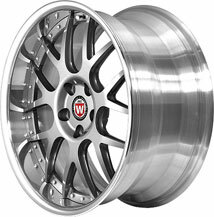 Aesthetics are not the only thing BC offers; they also make every wheel model out of T6061 aluminum for extra strength and lightness. You really can’t go wrong with the SN 01 BC Racing Wheels! BC Racing focuses on their production process that there are absolutely no compromises. Other companies have either aesthetics or performance. But with BC Racing Wheels SN 01's, you get it all, low weight, amazing strength, great quality, durability, and looks that make you differ from the rest. BC Racing Wheels has such a great reputation, their SN 01’s are completely forged with a CNC out of strong aluminum which allows for streamlined and aggressive designs to be made without sacrificing the structural integrity of the wheels. The structural integrity of the wheels is never sacrificed they have great looking wheels that can actually stand up to racing conditions. BC Racing Wheels' SN 01 is a good looking wheel that is both functional and at a low price. So if you're ready to make an order or just have some questions, our product experts here at ModBargains would love to talk to you! Just call 714-582-3330. The BC Racing Wheels SN 01 can come in just about any color or finish that your mind can imagine. The limitless customization you can apply to BC's wheels is what gives you car that unique look that distinguishes it from the rest. And with the help of one of our ModBargains product specialists you can order your dream wheel fitment and style in a matter of minutes. 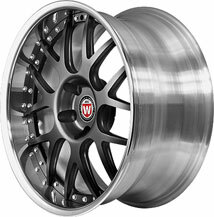 So if you're ready to grab a new set of BC Racing Wheels SN 01s, give ModBargains a call at 714-582-3330. Buying your BC Racing Wheels from ModBargains is an excellent decision. Our product experts will ensure that you order the right fitment and wheel for your car and answer any questions that you may have with ease. We also offer the best customer service in the business, and our delivery times for wheels are quick and easy for your convenience and happiness. We offer great prices on BC Racing Wheels. If you're looking to completely deck out your ride with a new look that's light and strong, grab a set of BC Racing Wheels SN 01's at ModBargains!